ANTWERP – William F. “Bill” Wetli, 86, of Antwerp, passed away at home on Sunday, Feb. 10. Bill was born in Payne on Jan. 12, 1933, a son of the late Charles and Addie (Cromley) Wetli. 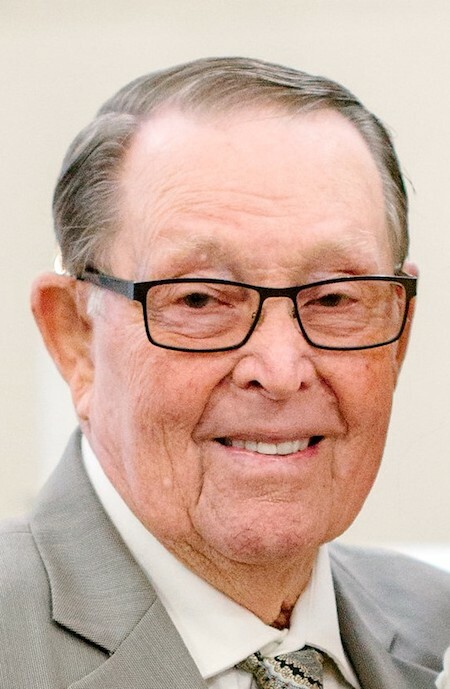 Bill always enjoyed being a dedicated farmer, avid golfer, wintering in Florida, serving on the Antwerp Equity Exchange and Antwerp Local School boards but will always be remembered as a loving husband and caring father and grandfather. He will be sadly missed by his wife Helen (Wiesehan), whom he married July 23, 1955; sons, Steve (Sis), Dan (Patty) and Michael; siblings, Latitia (the late Richard) Reising, Carla (the late Vince) DiRito, Jim (Carolyn), Pat (Arlene) and Jerry (Charlotte); eight grandchildren; five great-grandchildren and and one on the way. He also was preceded in death by his brother, Richard. Bill's funeral mass is at 10 a.m. Thursday, Feb. 14 at Divine Mercy Catholic Church, Antwerp, where relatives and friends may gather after 9:30 a.m. He will be laid to rest in Maumee Cemetery. Visitation is 2-4 and 6-8 p.m. Wednesday, Feb. 13 at Dooley Funeral Home, Antwerp. Preferred memorials are to Divine Mercy Catholic Church or Community Health Professionals. Fond memories may be shared at www.dooleyfuneralhome.com.